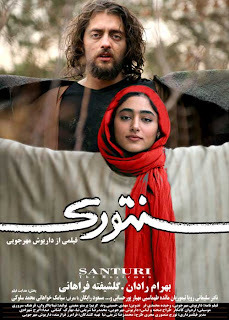 If you haven't got to see Santoori by Dariush Mehrjooie, don't miss it. "Santoori: the music man" is the story of a Persian musician and his journey from stardom to drugs. It is made based on traditional Iranian music and follows the same emotional roller-coaster ride from sad to cheerful moments. Posted by Hooman at 9:49 a.m.